Oslo stands at the head of the Bundefjord, the modern town, which is the hub of Norway’s railway system and steamship lines, adjoins the site of Medieval Oslo, founded 1048. Named Christiania in 1624 (after King Christian IV), it reverted to its ancient title of Oslo in 1925. The centre of life in Oslo is the Karl Johans Gate which runs from the main Railway Station to the Royal Palace. Located nearby are the Stortovet (Flower Market Place), the Cathedral, the National Theatre and Stortinget (Parliament House). However one of the main attractions of Oslo is its museums – from Edvard Munch Museum ( a vast collection – 28,000 items of paintings, sketches and etchings) to collections of Viking antiquities and relics of Arctic and Antarctic expeditions. 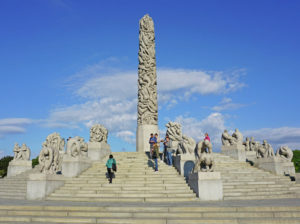 The National Art Gallery contains modern Norwegian collections of paintings and sculpture, whilst those of Gustav Vigeland are found in Frogner Park and the Vigeland Museum (image above is the Vigeland Sculpture park). Other places of interest are the Museum of Decorative Art and Design, the Radhus (also with a collection of Munch), the Nobel Peace Centre with its art collection, the Ibsen Museum, the Akerhus Fortress, the Oslo City Museum, the City Hall, Astrup Fearnley Museum of Modern Art (Renzo Piano and housing an international collection) and the award winning design of the Opera House. And 10 minutes by ferry is the Bygdoy Peninsular with the Norsk Folk Museum, Maritime Museum and Oskarshall (Summer Palace). Centrally located Clarion Collection Hotel Savoy ****. Twin-share room with private facilities, breakfast and a light dinner is included. (Extra nights can be organised). £711 inclusive of tuition, airport transfers (airport transfers are only available for the Siragusa Tours Ltd nominated flight), accommodation, breakfast and light dinner. Once tour is viable and flights are booked please make sure you book your travel insurance. If we have booked flights on your behalf through Travelpack then you can call Lina on 0208 5854010 ext 1008, Mon – Fri 9 – 4 , for an immediate quote (up to the age of 84). Scheduled flight to Oslo. Once the tour is viable we will contact you with details of the ‘nominated flight’. You can decide whether you wish to make independent arrangements (people from the North may wish to use a Northern airport) or whether you wish to be booked on the group flight. Please note that when we contact you with fares they are usually only valid for the day and may be higher (or lower) the next day. On the booking form you have the option to authorise us to issue flights if we can’t get hold of you. 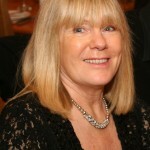 Jackie Parry MA, is an experienced lecturer and art historian who has led many gallery visits and study tours. She teaches art history at the University of Sussex and the Open University. She has also lectured for NADFAS, the U3A and the National Trust. Her interests are mostly based around 18th century art and culture and the development of modernism from 19th century to the present. Her MA research included issues of gender and critical theory.